Sure, it is fun enough to create amazing track layouts and have your trains whiz around them all day. This fun is only going to get you so far though. 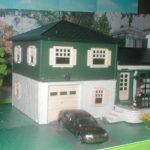 If you want to extend the amount of enjoyment that you are going to have however, then you are going to need some scenery. 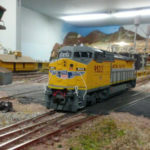 In fact, you will be surprised at just how much some some HO train scenery can enhance your enjoyment of the track layout. 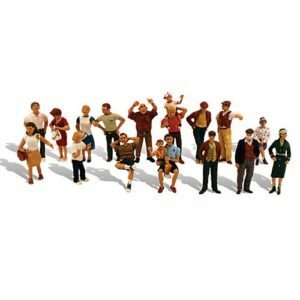 Let’s take a little look at some of the best ones on offer. 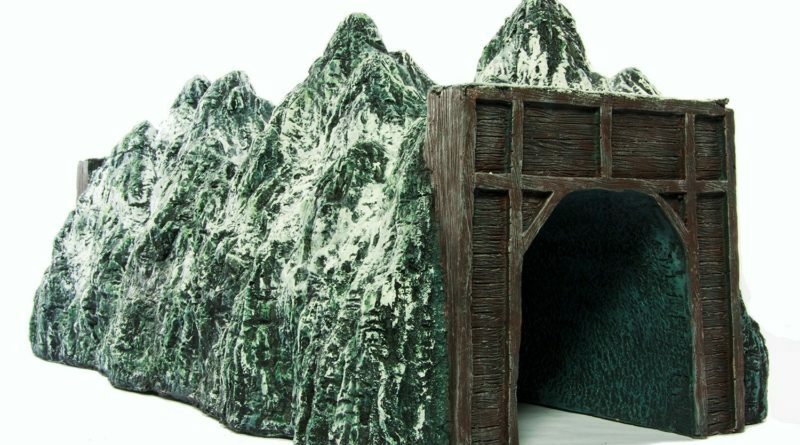 In my opinion this is one of the best pieces of HO Train Scenery you can add to your layout. Wouldn’t you just love to have your trains careening through a layout dominated by an absolutely stunning waterfall? Of course you would! 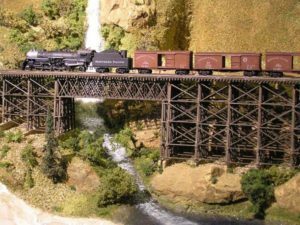 Many scenery manufacturers offer their own versions of the waterfall, although sometimes they can look slightly out of place if you have crafted your layout in a particularly way. Therefore, if you are feeling a little bit daring then you can look into the option of making your own waterfalls. There are plenty of tutorials out there for you to make the process as simple as possible! The best part is, if you make your own waterfall, and plan it just perfectly you may be able to have real running water. How is that for beauty? 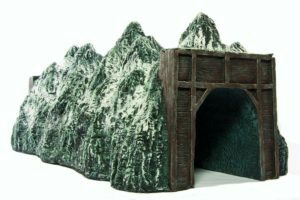 This is another piece of amazing HO Train Scenery which needs to be added to your layout. The reason being because layouts which send trains through the same scene time and time again get a little bit boring. Be honest, how often does this happen in real life? 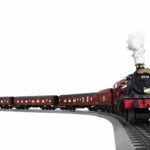 With mountains however, you will be able to break down the layout of your track and ‘mask’ certain sections to help add a bit of realism to the whole affair. In my opinion, they also look absolutely stunning as well! I don’t know about you, but when I am on a train in real life I am absolutely enthralled by the stunning scenery which can be found almost everywhere. Sure, you may find grass and trees a little bit bland, but you really aren’t looking for the true beauty here. 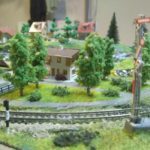 On most train rides you will find that grass and trees dominate the scenery, so they are an absolute must for your train layouts! 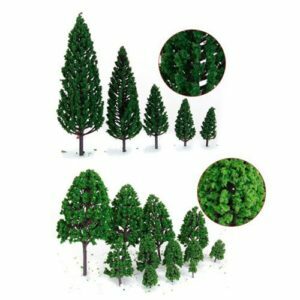 The great thing is, there are plenty of different types of trees you can purchase from a HO Train Scenery manufacturer, and they are cheap. 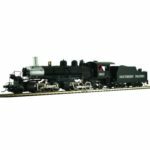 This means that you an add a whole new personality to your layouts on a very limited budget. You can either make the grass yourself, again there are plenty of tutorials out there on how to do it, alternatively you can purchase the grass. There are many options out there. I suggest using a mat of some sort however, there are less small parts which can break off and get into your train, which is always a plus! 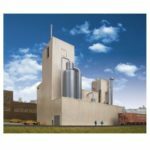 One of the best ways to add a little bit of character to your layout is to look into some of the shops and buildings that are available from a variety of different HO Train Scenery manufacturers. You can purchase everything from shops, to bars, to residential property. There really is a lot of buildings out there to choose from! This can of course cause you to go a little bit crazy when you see the range on offer. 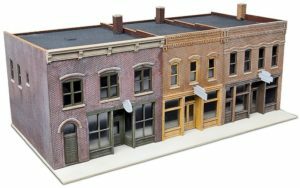 Whenever you are planning a layout, I suggest that you keep a ‘theme’ in mind and only purchase buildings which fit in with that theme. Honestly, it will be much lighter on your wallet and your tracks will end up looking substantially better. What is the point in filling up your track with stunning scenery if there isn’t any ‘life’ in the track? In my opinion, this is a ‘must have’ when it comes to HO Train Scenery. Add a couple of animals and people into the mixture and the track truly comes to life. There are plenty of options out there to choose from, so make sure you get the best selection possible to ensure there is no repetition. 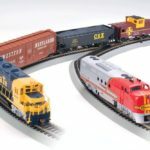 Honestly, you can lose yourself for hours browsing through the plethora of different HO Train Scenery available on the market. The suggestions here are just scratching the surface of what is available. Remember, when you are planning your layouts you should always keep to a ‘theme’. 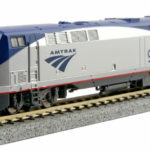 Not only will your layouts end up looking far better, it will also be much easier on your wallet!